This was a really great essay, and like a lot of your work, it makes me want to watch (or rewatch) something that I had no interest in as of yesterday. One quibble: Do you really think George Savalas looks “un-cop-like”? 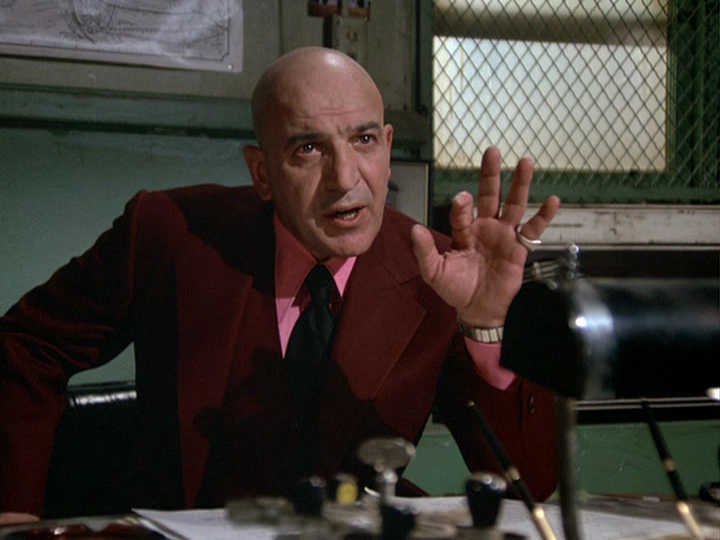 I suspect that if you walked into a Manhattan squadroom circa 1974, there’d be more guys who looked like Stavros than there would be guys who looked like Kojak. Yes and no. I’m sure there are plenty of fat slobs among the real life police. But Savalas came across as such a doofus — soft in a way that seems contrary to the actual cops I’ve met, not that there are many of those. Newhart (in Vermont) needed a season to hit stride, but so many TV series need a season to bed down, both from a production perspective and from a viewer perspective, as viewers start to realise they like the show, characters, etc and get a handle on where the show is coming from. One show that bucked the trend and hooked me from the get-go was Line of Fire, the crime drama set in Richmond. David Paymer as a sleazy gangster was certainly better casting than Paul Giamatti as John Adams. Sadly, LoF only lasted the one season. Good to see you had positive things to say about the episode “Best War in Town”, I have waited years to have a unedited version of that episode. Oof! I was also underwhelmed by season one, and now you’ve drawn me back in. It doesn’t hurt that I’m a sucker for Zohra Lampert. Engrossing essay Stephen, I’m always tempted to find a way to watch the odd gem from a season, if it’s recommended. Just watched ‘Legion of Demons’ from the Ghost Story/Circle of Fear’ series the other night after finding that it was written by Anthony Lawrence. An excellent little segment, given a thumbs up by a reviewer on IMDB. Any chance of some pieces on the two shows I consider the best/most promising crime shows of the ’70s; ‘Columbo’ and ‘Police Story’? Especially as the latter has had a DVD release of it’s first season. I’ve seen the first three segments and they are refreshingly different. Thanks, Stephen. When I was a very young tv addict in my early teens I remember that episode in which someone burned one of only 2 valuable stamps in order to make the other more valuable and could never figure out, years later what show that was. I remember the scene being incredibly powerful – when a show sets up an item (McGuffin?) as the valuable item people are chasing, to have one of the characters actually destroy it seemed quite transgressive. Your essay jogged my memory after 30+ years as the “Night of the Piraeus”. Now I must track this box down! Indeed, that is a powerful scene, one destined to provoke a really queasy response in any of us who covet stuff too much. The fact that the stamp-burner is the inimitable Norman Lloyd makes it perfect. Your analysis of KOJAK’s second season prompted me to buy the DVD set; it was worth the money I paid for it.That said, I agree with your assessment it took quite a few episodes before it hit its stride. “The Best War in Town” is definitely a highlight, with masterful, stylized direction by Richard Donner of a story that has a marvelous mix of action, drama, and humor. Most notably, Savalas distinctly says “Who loves ya, baby?” in it! I also agree you should do a write-up on POLICE STORY, if only to remind people that for all of its “grittiness”, it wasn’t perfect, if what I’ve seen on the first season DVD set is any indication. If you are (rightly) going to single out Zohra Lampert in “Queen of the Gypsies,” it seems only fair to mention that she won an Emmy for the role. 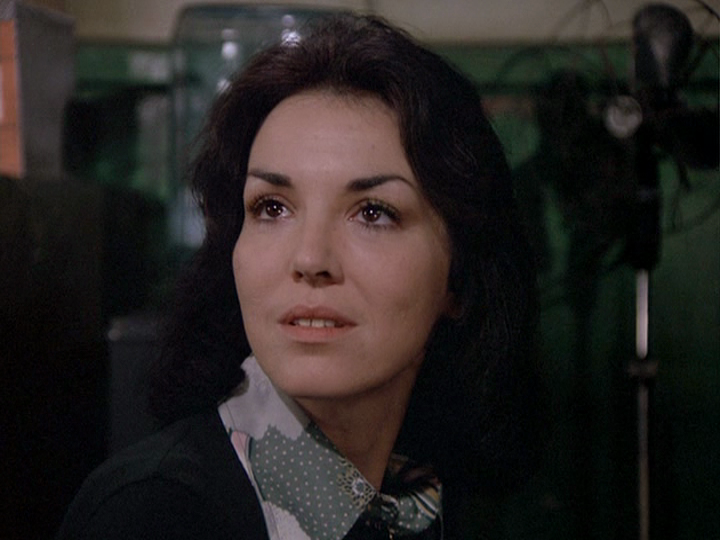 There was a later episode entitled “Another Gypsy Queen,” with Kathleen Widdoes as a similar character. My guess is that it was originally intended as a sequel, but when Lampert proved unavailable it was re-written and re-cast. “Im so gassy” was another favorite Kojak quip. Absolutely. And this is the single biggest reason why attempts to bring back KOJAK (or THE ROCKFORD FILES, for that matter) with another actor will never work. Savalas IS Kojak. Any other actor in the role is just a bald guy named Kojak. Not the same thing. I just obtained the first season, and have begun viewing. I have not seen the show, since the 70s. 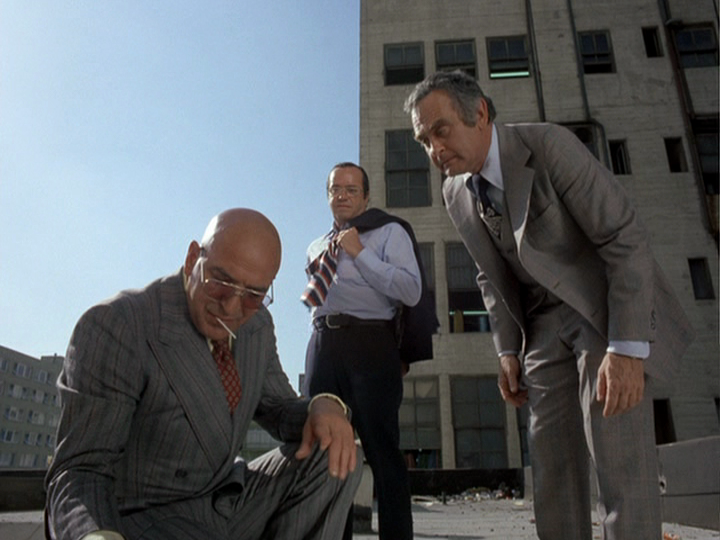 Does anyone know of a good website, which features quality reviews of the 70s Kojak, other than imdb? I meant, reviews of each episode. 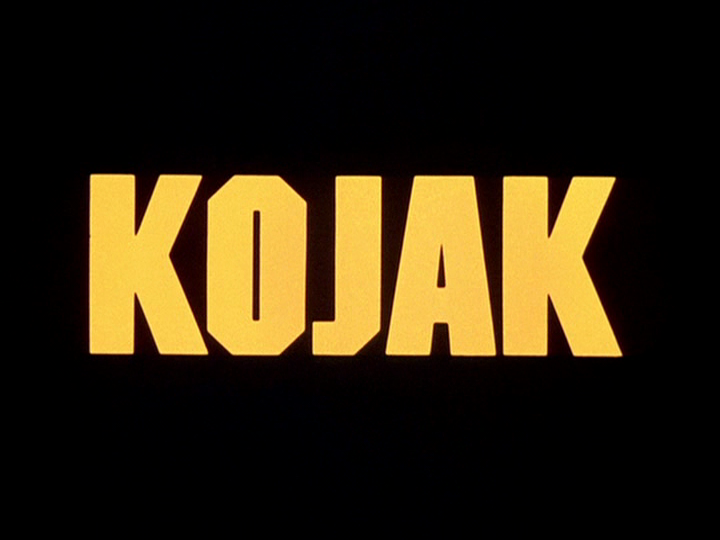 I love Kojak. I wish it was on tv more often. I just started seeing it again and haven’t watched it since the 70s. I probably didn’t really watch it back then because I was a little girl but I saw enough to know “Who loves ya baby” and his lollipops and I remember my father who worked at Manhattan criminal court getting his autograph. The Ryan guy in this episode caught my eye so I looked him up. He sort of reminds me of a younger Christopher Walken.